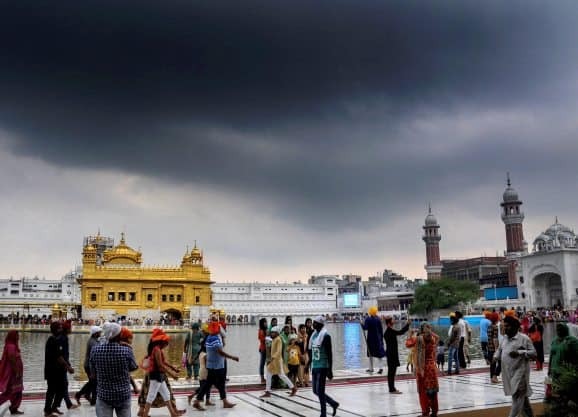 A view of Sri Harmandir Sahib (Golden Temple) on a cloudy day in Amritsar, on Friday. 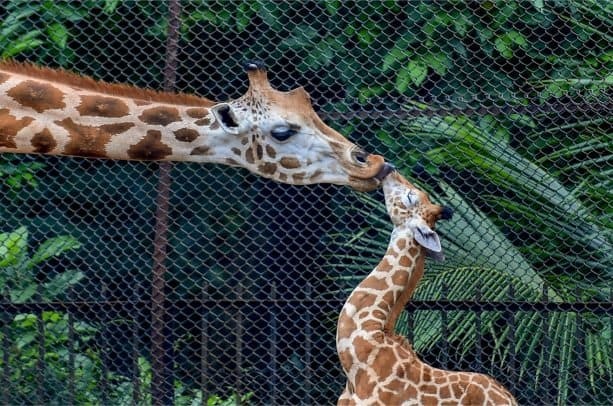 A female Giraffe licks its calf at their enclosure at Alipore Zoological Garden, in Kolkata on Friday. 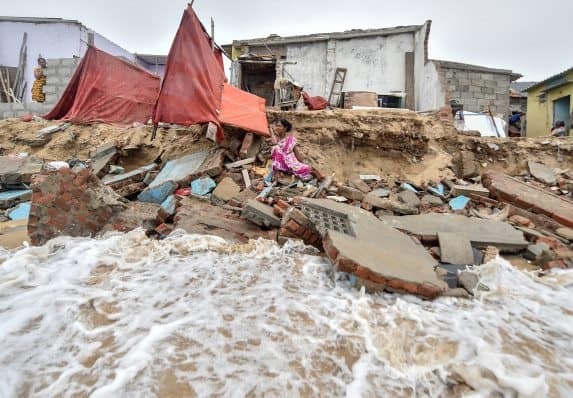 A woman sits near her partially damaged house which collapsed due to seawater incursion along the coast of Srinivasapuram in Pattinapakkam, Chennai on Wednesday.